This is the third of four March Madness stories involving those with Chattanooga ties. 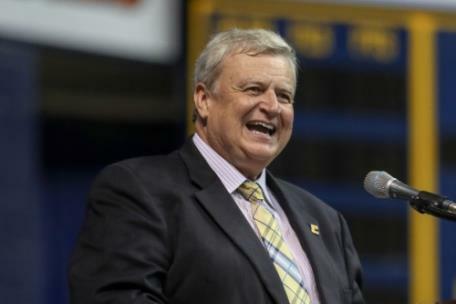 When former University of Tennessee at Chattanooga basketball coach Mack McCarthy reflects back on his 32-year college basketball coaching career, many of his most vivid memories – both good and bad – had the common denominator of occurring in Birmingham, Alabama. 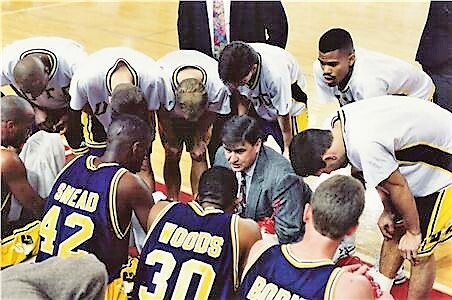 McCarthy experienced the best and worst of times in the town dubbed “The Magic City”, the final chapter scripted when he led the Mocs to their only Sweet Sixteen appearance in 1997 - his final season at the helm for UTC. Entering the NCAA tournament the next week as an 11-seed, Auburn defeated Purdue by one point and won by two over Kansas, sending the Tigers back to Birmingham for a Sweet Sixteen encounter with second-seeded North Carolina. McCarthy accepted the UTC job following that defeat, a 12-year reign where the Mocs went 243-122 including at least a share of eight Southern Conference regular season titles and five NCAA Tournament appearances. Once again, Birmingham was the final stop on McCarthy’s tenure at UTC. The 14th-seeded Mocs surprised third-seed Georgia in the opening round in Charlotte, winning by three after exploding to a 20-2 lead early in the contest. 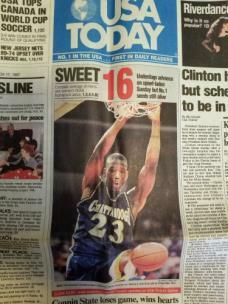 Two days later, UTC whipped Illinois by a dozen to seal the school’s only Sweet Sixteen appearance. The fact that Illinois’ personnel and style was similar to Georgia’s helped McCarthy and his staff prepare to face the Illini. The national spotlight was fixated on the Mocs and their historic run, but McCarthy felt like the added attention had little impact on their preparations. “I don’t think it was a distraction to the players, and I know it wasn’t for the coaches. I had been to that round as an assistant,” McCarthy said. “The week after the first two games was an absolute whirlwind with CBS, USA Today and everybody else embedded in Chattanooga following us. Everything we did was well-documented that whole week. UTC faced 10th-seeded Providence, who had upset Duke their previous game. The Friars took a 10-point advantage early in the second half, only to see the Mocs storm back to seize the lead midway through the period. But Providence regained its composure down the stretch to win 71-65 in McCarthy’s final March Madness appearance. Four months later, McCarthy departed UTC to rejoin former Auburn boss Sonny Smith as associate head coach at Virginia Commonwealth. McCarthy took over the Rams’ program the next year, leading VCU four seasons before closing his head coaching career with a three-year stint at East Carolina to finish with 343 wins in 19 seasons. “Every year about this time I get calls from reporters around the country talking about Cinderellas in the tournament,” said McCarthy, who resides in North Carolina and serves as a TV basketball analyst. “The Cinderella stories are always fun to watch, but to be a part of it was something that none of us will ever forget. I don’t go a week without talking to one or more of those guys.